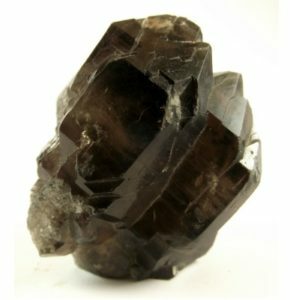 Smoky quartz is a gentle stone with lots of appealing benefits. It has the power to neutralize negative vibrations while grounding oneself to the earth. Positive thoughts and a calm nature are often signs that this stone is at work for you. The colors can range from a light smoke grey to a dark brownish-grey. Said to have natural radiation properties from granite, this stone has many electrifying qualities. The healing qualities of this fascinating stone are vast since it concentrates on the root chakra and the solar plexus chakra. It is effective for the abdomen, hips and leg areas. In addition, smoky quartz can help to relieve headaches, back pain, and ease muscle spasms. While little is still known about the harm that can come from electronic frequencies, this gem will recognize any electromagnetic vibrations and neutralize immediately. Smokey quartz is great for meditation as it amplifies the energy of the other surrounding stones. It works to cleanse and detoxify those negative feelings and energies that constantly try to invade your space. This stone is powerful in balancing and grounding, but works closely when working with the Crown Chakra, also. 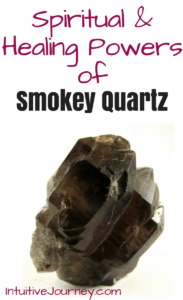 Think of smokey quartz as the life-line that connects earth and heaven. Keeping you protected and grounded while exploring the depths of the celestial world will keep your mind at peace that all is right. If there is one stone that you should keep in your possession, the smokey quartz is it. Consider it your first-aid kit to staying calm, warding off negativity, and soothing pain, both physical and mental. You will also discover that it is easier to balance each chakra when smokey quartz is used. Even when not in meditation, use in all corners of your home to keep the air pure from the static noise of constant unnatural vibrations, especially in the bedroom. It will provide a peaceful night’s sleep and keep nightmares at bay. If you need some smokey quartz, you can find some here.